The catalogue for the 2019 Tattersalls Guineas Breeze Up and Horses in Training Sale can now be viewed online at www.tattersalls.com. Numbering 172 breeze up two year olds and 132 horses in training, the sale takes place May 2nd – 3rd, with the two year olds breezing at Newmarket's Rowley Mile Racecourse on Thursday 2nd May starting at 9.30am. The Guineas Breeze Up Sale has produced no less than thirty Group/Listed performers since 2016 as well as the exciting, unbeaten Gay Kelleway-trained GLOBAL SPECTRUM, who was an impressive winner of the Group 2 Al Biddah Mile in Doha on his most recent start and is set to target either the English or French 2,000 Guineas. No less than 39 of the sires with two year olds catalogued have already sired Classic or Group 1 winners, including ACCLAMATION, CAMELOT, DARK ANGEL, DUTCH ART, HOLY ROMAN EMPEROR, IFFRAAJ, INVINCIBLE SPIRIT, KODIAC, KYLLACHY, LAWMAN, LOPE DE VEGA, MASTERCRAFTSMAN, NATHANIEL, NO NAY NEVER, SHOWCASING and ZOFFANY. Top class USA based sires also feature prominently, with proven Group/Grade 1 sires CANDY RIDE, CONGRATS, KITTEN’S JOY, LEMON DROP KID and UNION RAGS all well represented. 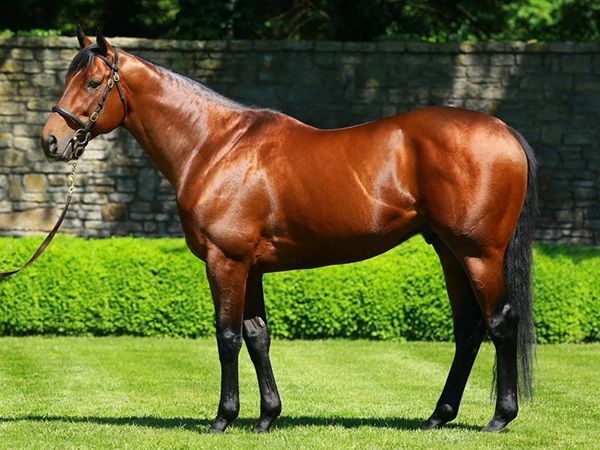 In addition there are 19 first crop sires with two year olds catalogued including Group 1 winners AMERICAN PHAROAH, BRAZEN BEAU, FREE EAGLE, HALLOWED CROWN, KINGSTON HILL, MAKE BELIEVE, MUHAARAR, NIGHT OF THUNDER, OUTSTRIP, and WICKED STRONG, as well as ANJAAL and CABLE BAY who have already produced impressive winners. The Horses in Training section of the Guineas Sale has quickly established itself as a consistent source of high class performers and the 2019 renewal boasts three Group and Listed performers as well as 18 lots with an official rating of 80 or higher. Those that look likely to attract plenty of attention include the Michael Wigham-trained EXECUTIVE FORCE who has won six of his last eight starts and has an official rating of 97, the Group 3 Horris Hill and Group 3 Tattersalls Stakes-placed TANGLED from Richard Hannon’s yard and the 99-rated PRIMERO from David O’Meara’s stable. Owners and trainers also have the added incentive of 61 breeze up two year olds eligible for the Plus 10 Bonus Scheme, seven eligible for lucrative French Premiums and two entered for the £150,000 Tattersalls October Auction Stakes. “The quality of Tattersalls Guineas Breeze Up horses continues to attract buyers from throughout Europe and further afield and exciting Classic prospect GLOBAL SPECTRUM is the latest to fly the flag for the sale. We have made a conscious decision to reduce the number of breeze up lots on offer and this year’s catalogue looks to have something to appeal to buyers with a range of budgets. The Horses in Training section of the sale also consistently attracts global interest and this section of the catalogue is larger than ever." The full breeze will be shown live on Racing TV starting at 9.30am on Thursday 2nd May and catalogues are available from Tattersalls and from all Tattersalls overseas representatives.